New Years Day 5K is coming up quick! Kick off 2017 in one of the best ways possible. 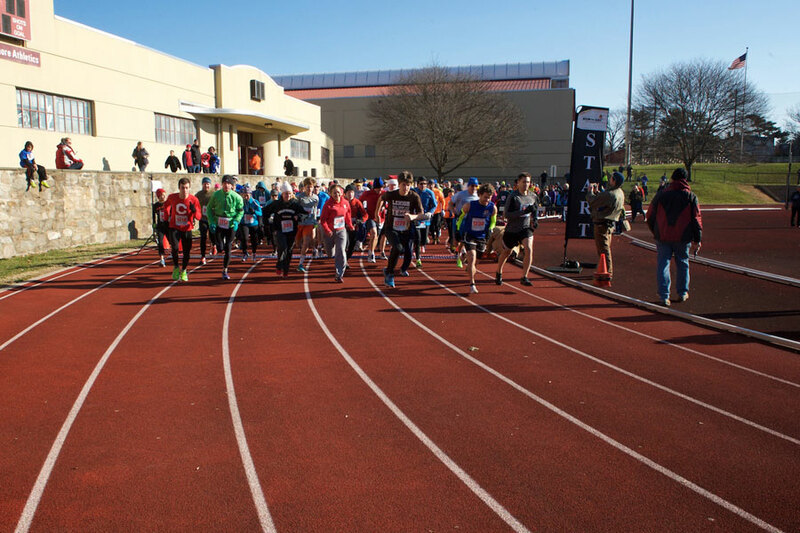 The family-friendly SRA New Year’s Day 5K starts at 10:30 a.m. Sunday, Jan. 1, 2017, at Swarthmore College’s Lamb-Miller Field House and travels through the beautiful borough of Swarthmore. Race-day registration and packet pickup begins at 9 a.m. in the field house. Unique wooden race medals are awarded to the top two finishers in each age group. Kids’ races are held on the college track at 11:30 a.m. for children ages 2 through 13. Long-sleeve tech T-shirts are given to 5K participants (first 200 registrants) and cotton short-sleeve T-shirts to kids’ race participants. It is $25 to register in advance and $30 on race day for the 5K. Registration for the kids’ runs is $5. Family maximum of $100.